Well this guy has to go for starters. He is not a lesbian woman from an ethnic minority. The Labour Party are suckers for punishment – you have to give them that. After their defeat in the 2008 general election they have overseen one of the most successfully inept re-election campaigns in New Zealand political history. Their ambitious plan to tick off every political mistake in the book carries on this weekend with their conference in Christchurch, where they look set to approve a remit that will require its list to “fairly represent” gays and lesbians among candidates. At present, the constitution says there shall be no barriers to nominees on the grounds of sexual orientation or marital status. But a remit proposed by the party’s ruling New Zealand Council would require the list-ranking committee to pro-actively ensure that its list fairly represents “sexual orientations”, as well as tangata whenua, gender, ethnic groups, people with disabilities, age and youth. The New Zealand Council is also proposing a Maori-only list ranking committee to rank its Maori candidates for the next election. 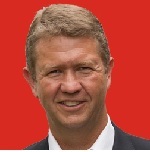 The Tories will laugh at all this but unfortunately for David Cunliffe so will most of middle New Zealand. Maybe Labour should take a leaf out of the Green Party play-book and just quietly go about doing this sort of affirmative action stuff with no fanfare. But no – the Labour Party is keen to make a political statement about something that their own constitution has already got covered. It is one of those situations where everyone else seems to get it but the Labour Party. For them to get elected they need to present a positive vision of what they want New Zealand to be. Economic and technological development, higher value jobs and curbing the rich-poor gap are all things that they should be addressing. This grandstanding of trying to be the most equal opportunity employer in the country by openly discriminating against candidates on the basis of their sexual orientation, ethnicity and gender is truly bizarre. Good luck with the cunning plan David. The only way you are going to win the next election is if the Greens continue to be the politically savvy half of the left- leaning coalition and the electorate tire of John Key being a relentless know it all.